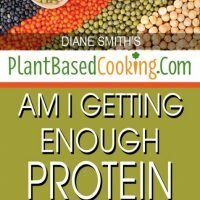 Home » Am I Getting Enough Protein on a Plant-Based Diet? 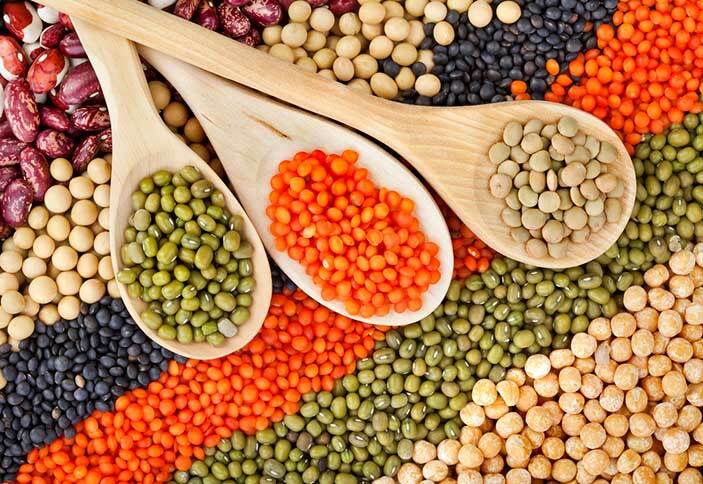 It’s a common misconception that anyone eating a plant-based diet is deficient in protein. What’s not so well-known is that there are a plethora of options when it comes to excellent sources of plant-based protein which you can see from the chart below. The Recommended Dietary Allowance (RDA) for protein, is 0.8 grams of protein per kilogram of body weight. (1) The RDA is the amount of a nutrient you need to meet your basic nutritional requirements. To calculate, multiply your weight in pounds by .36, or use this online protein calculator. This amount of protein is easily met if you're eating a well-rounded plant-based diet with lots of veggies, whole grains, legumes, some nuts and seeds. However, how much protein is needed for optimal health, may depend on your age. This data comes from a study analyzing self-reported calorie intake that came from protein: high (20% or more), moderate (10-19%), or low (less than 10%) of more than 6,800 U.S. adults, ages 50 and over. We should be a little cautious about this kind of data because people are reporting their intake and memory can be a tricky and sometimes elusive thing. That said, the findings are very interesting. The good news: the associations were only found when the proteins were derived from animal, rather than plant, sources. Another good reason to keep eating a plant-based diet. Not so if you're 65 or older. The recommendation for those 65 & older is a little different. 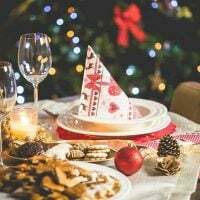 "In participants ages 65 and older, those who consumed high amounts of protein had a 28% lower risk of dying from any cause and a 60% lower risk of dying from cancer. These associations weren’t influenced by whether the protein was derived from animal or plant sources." What is the sweet spot for protein consumption if you're 65 or older? It's for 1.2 to 1.5 times your weight in kilograms, as opposed to the typical recommendation of 0.8 per kg listed above. So if you weigh 140 lbs., multiply 140 x .454 to get your weight in kg, which is about 64. Then multiply 64 x 1.2 (and 1.5) to get 76.8 - 96gm of protein per day. If this is you, you may want to increase the amount of protein in your diet by adding more beans and lentils, tofu and tempeh and seitan which is a gluten source of protein. Read more about seitan. 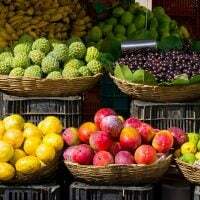 Below, is a list of vegetables, legumes, seeds, and other foods that, when included regularly in your diet, will help provide you with ample amounts of protein. I’ve listed them from highest to lowest. That being said, the last item on the list, guava, has 4 grams of protein in a single cup! Seitan, which is not listed in the chart below, has 47 gms of protein per cup and 3 per tablespoon. There are so many different ways you can include these foods in your diet every day. Things like hemp seeds, chia seeds, and flax seeds can be sprinkled on salads and added to smoothies. Use dry-roasted soybeans, edamame, pistachios, pumpkin seeds, and squash seeds in your trail mix! 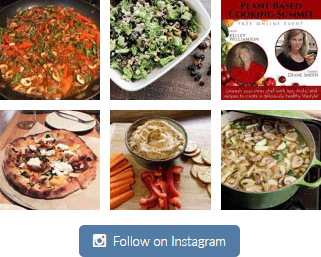 Learn about cooking with tempeh, seitan and tofu in these articles. 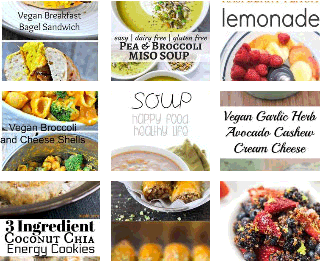 Tempeh, tofu, beans, lentils, quinoa, and oats are included in a lot of my recipes. And, of course, vegetables can be eaten raw, roasted, steamed, not to mention used in soups, stews, and salads! You can even dehydrate green peas, grind them into a powder, and you’ll have a potent protein-powder for your smoothies and soups. The point is, get creative with your recipes and stock your kitchen with a nice assortment of these protein staple foods, and you won’t have to worry about meeting protein requirements. 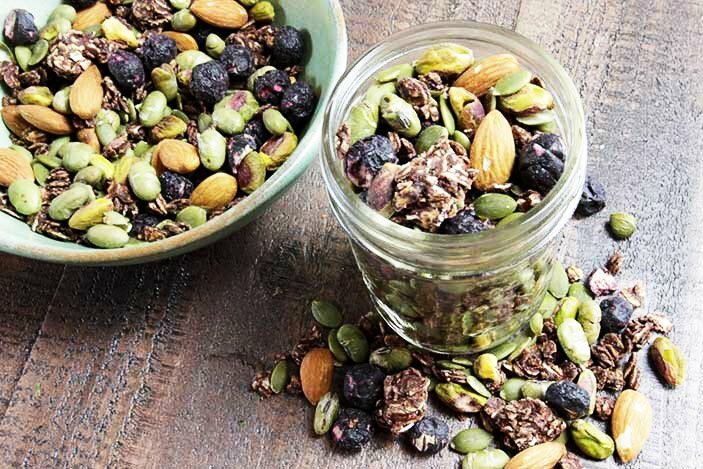 Add the soybeans, pistachios, pumpkin seeds, almonds and freeze-dried cherries to a bowl. Melt chocolate, stir in oats. Drop small blobs on parchment paper, place in freezer until solid, then add to trail mix. What are your favorite high-protein snacks? Let me know in the comments below! Thanks for this information. I’m now over 60 and have to pay attention to several things to avoid diabetes, heart disease, and now peripheral neuropathy in my feet caused by cholesterol (according to my doc.) I stay in the gym most days and have just converted over to a plant-based diet this past week. Eating habits are hard to change, but I’ve been changing them quite a bit over the last year or so. So far, so good. My research also has suggested that due to my age, that plant-based protein intake is fairly important, and when I keep it within recommended guides, I do feel better. It sounds like you’re doing a fabulous job of staying motivated and committed! You’re right, it can be hard to change your eating habits so congratulations! I hope these changes lead to the healing your seeking. And, you’re right about protein when you’re 65 or older. I wrote about that in my article, “Am I Getting Enough Protein on a Plant-Based Diet.” Good luck with the switch to a plant-based diet and let me know where your having struggles as your insight could be helpful to others.